Springer Controls Company carries a complete line of IEC enclosed, direct on-line, AC motor starters up to 60 HP or 80 Amp. 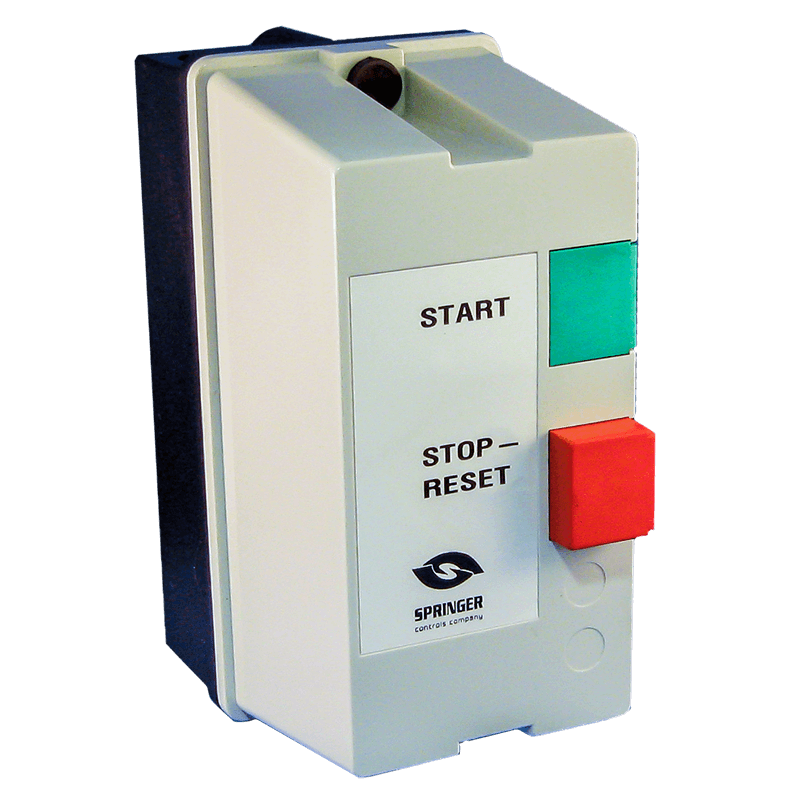 Our stocked starters are perfect for HVAC systems or any place where you need simple control or protection of a motor. For more complex control panels, allow us to design and build a panel for you in our UL508A approved panel shop.